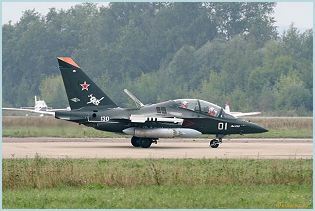 The Yakovlev Yak-130 is a russian made subsonic two-seat new-generation aircraft intended for basic and advanced flight training of air school trainee pilots to fly fourth- and fifth-generation combat aircraft, for maintaining flying skills of pilot personnel of regular air units, and flying combat missions in local armed conflicts. 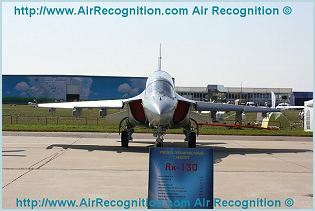 Development of the plane began in 1991, and the maiden flight was conducted on 26 April 1996. 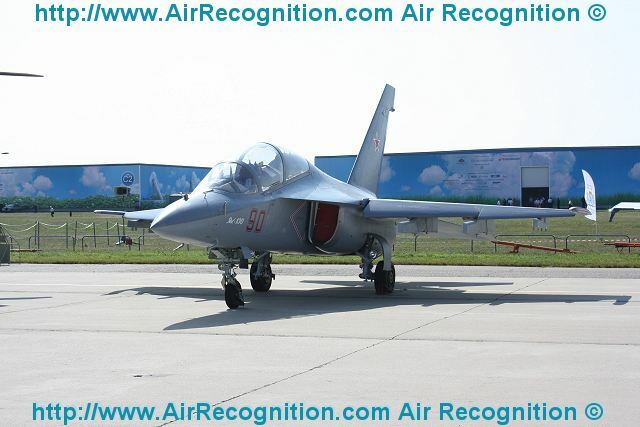 In 2005, it won a Russian government tender for training aircraft, and in 2009 the first planes were put into service in the Russian Air Force. 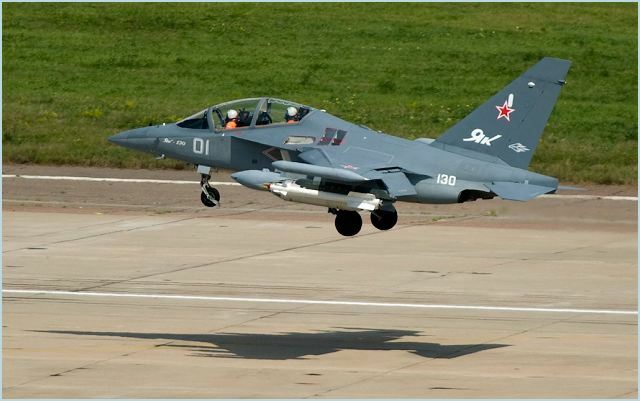 As an advanced training aircraft, the Yak-130 is able to replicate the characteristics of several 4+ generation fighters as well as the fifth-generation Sukhoi T-50. It can also perform light-attack and reconnaissance duties, carrying a combat load of 3,000 kg. 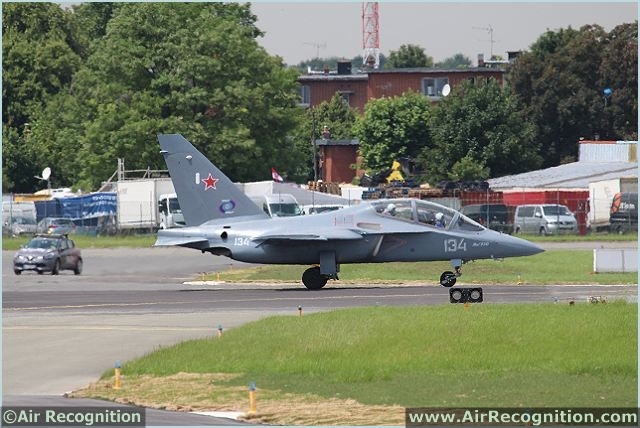 The Yak-130 features design simplicity, high reliability of its airframe, powerplant and aircraft systems, a long lifetime, independent basing capability, as well as high maintainability ensured by its automated onboard diagnostics and monitoring system. 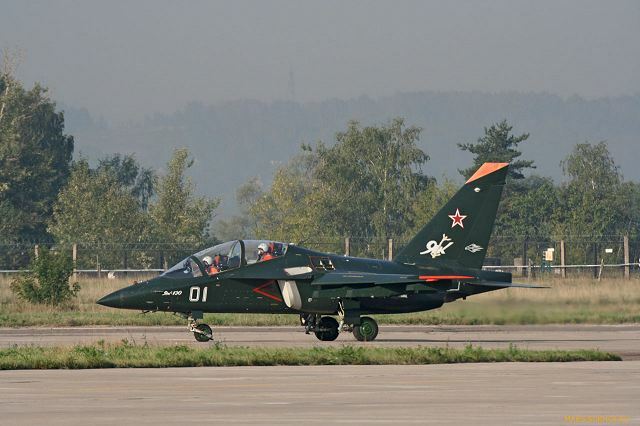 The potentialities invested in the Yak-130 design and layout concept will enable its designers to develop a light combat aircraft and other modifications. 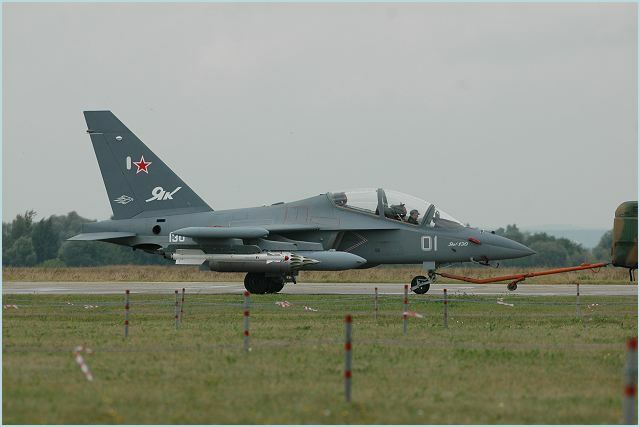 Yak-131: Derivative of Yak-130 jet trainer (which see) with one or two crew. No known production plans. 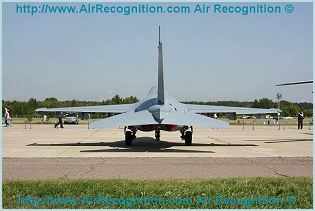 Optional radar nose and reconnaissance pods. 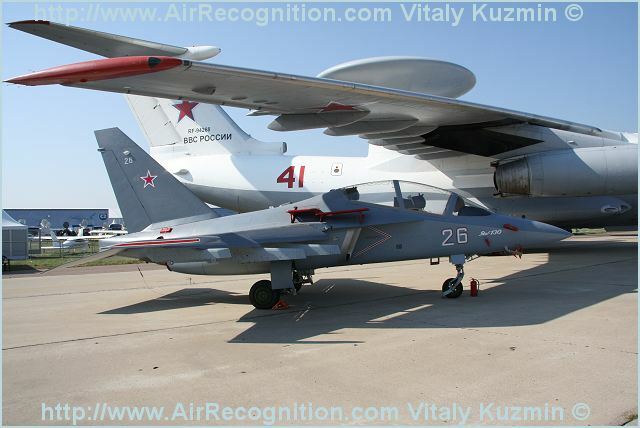 Yak-133: Specific training aicraft family with Yak-133 fighter, Yak-133IB fighter bomber, Yak-133R reconnaissance aircraft, Yak-133PP Jammer/Trainer, Yak-133 shipborne trainer and Yak-133 unmanned reconnaissance attack aircraft. The Yak-130 is composed by an advanced aerodynamic configuration with an integrated aircraft layout, a swept wing with wing-root extension and leading edge flaps, high-lift wing devices, a vertical tail displaced forward relative to an all-moving stabilizer in combination with a high thrust-to- weight ratio - provides high takeoff/landing and maneuvering characteristics for the combat trainer, including controllable flights at an attack angle of 42 degrees. 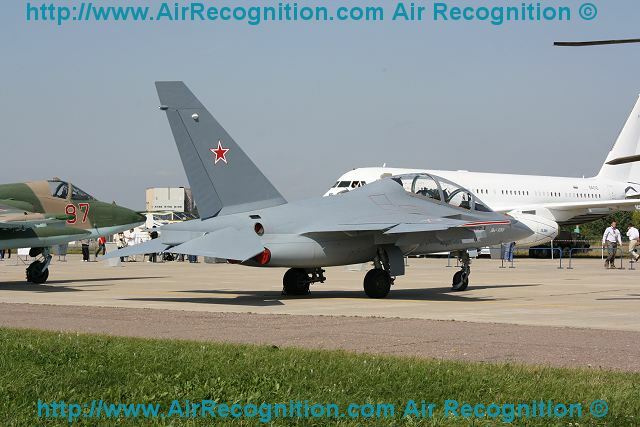 The Yak-130 is the first Russian aircraft to have all digital avionics. 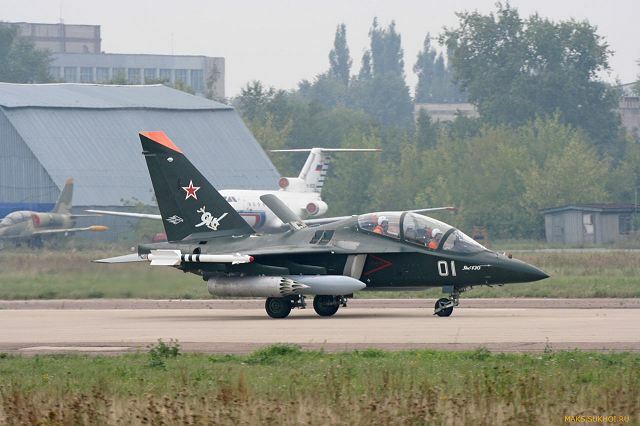 The Yak-130 has an open-architecture avionics suite that consists of two computers and a three-channel multiplex data exchange system. 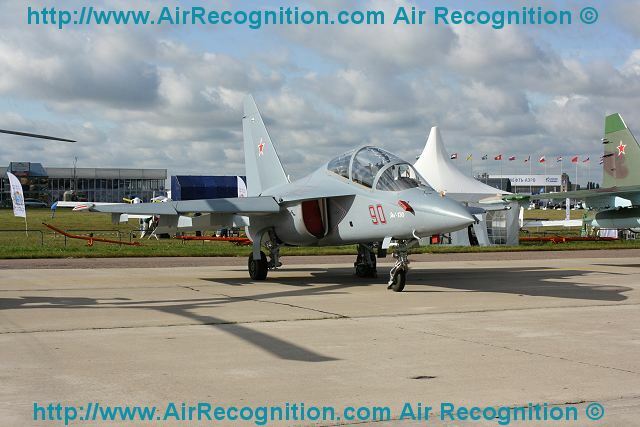 Navigation is provided by a platform-free laser gyro system and a GLONASS/Navstar GPS receiver. 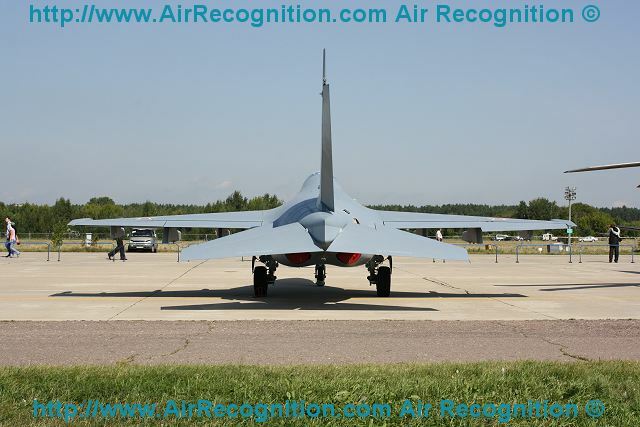 Provision is made for equipping the aircraft with a radar capable of discriminating targets in free space and against the underlying surface. The information and control field of each cockpit consists of three multifunctional color liquid-crystal indicators that provide the pilot with complete flight/navigation and combat information. The crewmember in the front cockpit can use a head-up display and a helmet-mounted target designator. 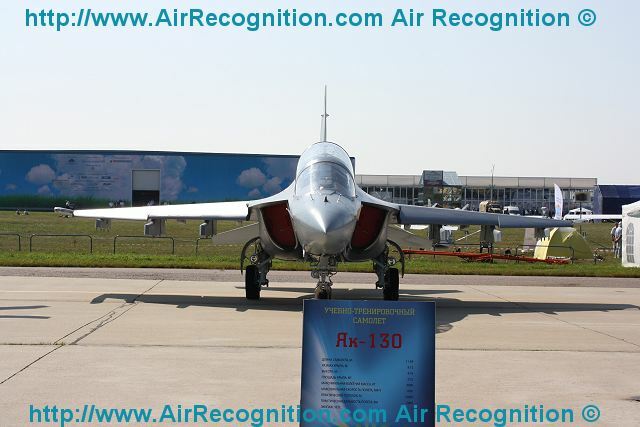 A programmable digital multichannel electric remote control system of this combat trainer makes it possible to simulate stability and controllability characteristics of virtually any Russian or foreign fourth- or fifth-generation fighter. 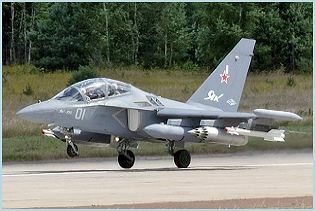 The Yak-130 has an air-conditioned and pressurised two-seat all-glass tandem cockpit. 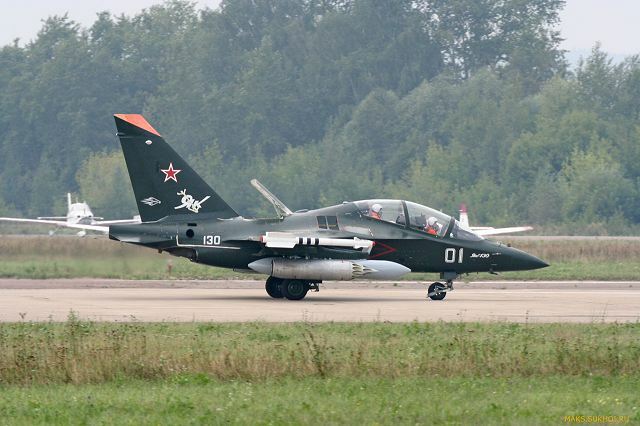 The Yak-130 is powered by two up-to-date Al-222-25 turbojet engines with a thrust of 2,500 kgf each. The engines' air intakes are fitted with devices preventing ingestion of foreign objects. 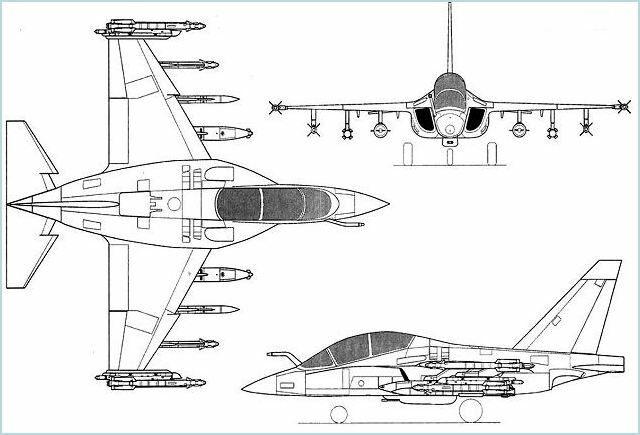 For training purposes, part of these combat trainers will be equipped with air refueling probes. The aircraft's twin engines are mounted under extended wing roots, which reach as far forward as the windscreen. 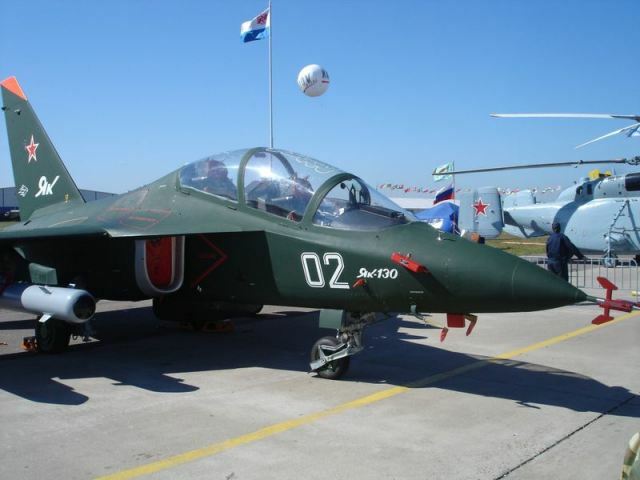 The export variant of the Yak-130 can be fitted with the DV-2SM engine. The internal fuel tanks, comprising two wing tanks and a centre fuselage tank, carry up to 1,750kg of fuel. With two suspended fuel tanks (each 450l) the maximum total fuel load is 2,650kg. The aircraft is fitted with single point pressure or optional gravity refuelling. The aircraft can be fitted with an in-flight refuelling probe. 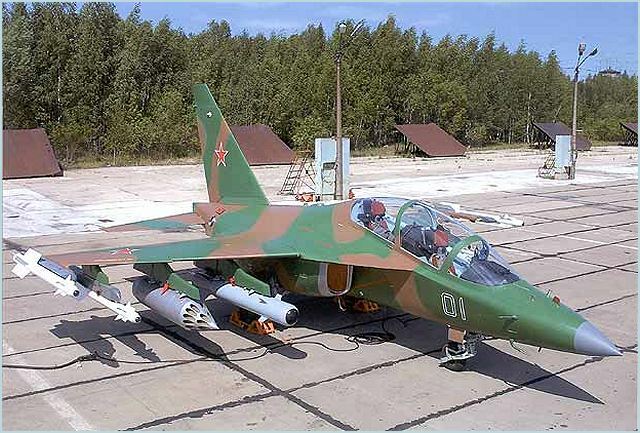 Owing to eight wing hardpoints, the aircraft can carry a combat load of up to 3,000 kg In addition to 250-kg and 500-kg size aerial bombs, B-8 and B-13 rocket pods, a GSh-23 gun pod, the armament suite includes the R-73 IR-guided air-to-air missiles, the Kh-25 laser-guided air-to-surface missiles and the KAB-500 guided bomb controlled by the Platan- or Sapsan-type pod-mounted optronic system attached to the ninth (underbelly) hardpomt. 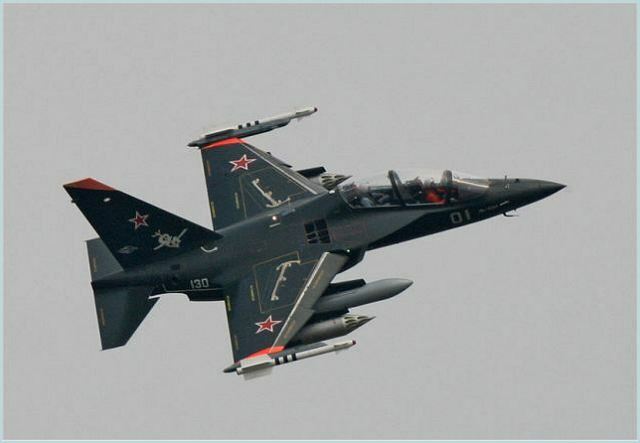 Combat training suite on the Yak-130 includes simulated and real firing systems with air-to-air and air-to-surface missiles, bomb dropping, gun firing and on-board self-protection systems. The instructor can set and control "target behavior" from his seat in the aircraft. It has an automated on-board diagnostics and control system which makes the aircraft easy to operate and maintain. Computer and data exchange systems, GLONASS/Navstar GPS, laser gyro system, helmet-mounted target designator.